Home Informations Guides and Advices for Chihuahua Chihuahua Pathologies, the Guide and Advices. 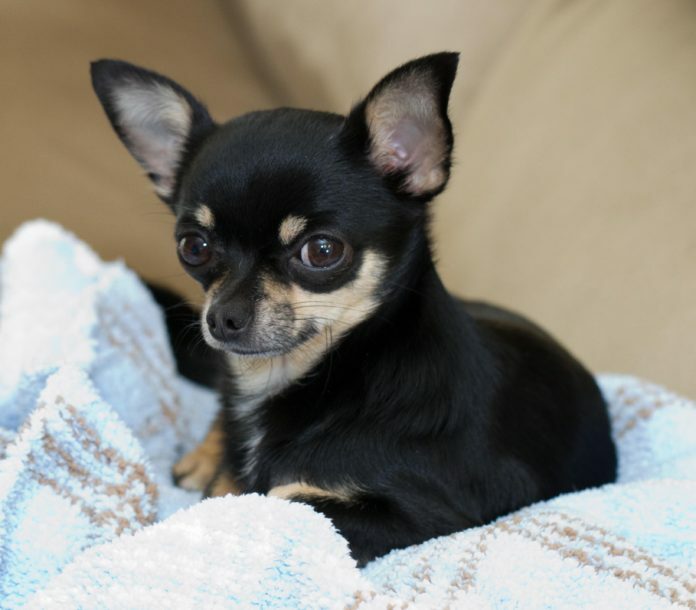 The Chihuahua, though it does not show it because of its great tenacity, is a rather fragile dog that can run into several problems, and especially about the genetic. -Dysplasia of the kneecap, in which, when the dog does an intense physical activity or a movement that puts this part under a stress, it may come out of its articulate seat. It is one of the most common pathologies not only in Chihuahua, but in all small dogs. The kneecap dysplasia can be congenital and therefore inherited and it is easily avoided by testing his parents, or acquired after a trauma. There are different degrees of severity which may range from a slight limp to no longer rely on the limb in walking and it may be one-sided or involve both sides. Although of lesser intensity, the disease can lead to even very obvious physical consequences, such as the appearance to “brackets” of the limbs, in which the tip of the elbow will be much more outside of the paws. Knee ligament problems in Chihuahua. – Problems with the ligament of the knee, less common than the previous ones, it would seem initially with the dog that takes on a strange characteristic behavior, so he starts to make the stairs on a three-legged paws. The veterinarian will then see the possible injury to this by probing and verifying whether the ligament resistance is still palpable. Necrosis of the femoral head in Chihuahua. – The necrosis of the femoral head is almost a rarity, but it is still more common in Chihuahua and in small dogs than in other breeds. It consists in death of bone tissue of epiphysis, the proximal end of the femur. Easy to diagnose, since even with a simple sheet is easily identifiable; in fact, the necrotic tissue will appear to have a different saturation than that of the other bones. Progressive Retinal Atrophy in Chihuahua. – Genetic disease destroying cones and sticks of the eye, which are organelles at the base of the sense of sight, in charge of picking up light stimuli. Given that the rods, those which are activated in the presence of little light, are the first to suffer from this degeneration, our dog at first will present the so-called “night blindness”, or together with the setting of the sun he will gradually lose the visual ability. It is a disease, as it is said, degenerative that with time will lead to the full blindness of our friend. It is transmitted by recessive genes, so there may also be subjects who have no pathology but are simply carriers; these must be completely discarded from breeding, because if they were going to mate with another subject bearer, this would give birth to a sick individual. It can be highlighted with an ophthalmoscopy examination. “Fountain” on the head of a Chihuahua. – The much discussed “fountain” on the head. It would seem to be a slowing bone growth in the skull that in well-selected dogs would be resolved within six months of age. If this does not happen, the problem will arise when our Chihuahua falls headlong; the consequences could be tragic, with possible cranial fractures. – Puppies, especially those under-sized, can be extremely susceptible to hypoglycemia, unfortunately, this is very common in Chihuahua. This occurs after a physical effort or on very hot days. The most obvious symptoms are sudden lack of strength, tapering, prostration, and tremors. Although it is not really a pathology, it can be lethal for our puppy, so we have to be very careful. Keep fresh water available for the puppy with the addition of a pinch of fructose and administer it in small but frequent meals well-divided during the day. This is a disorder that could be resolved with age. – Chihuahua unfortunately are brought to become overweight or worse, obese. So you have to be careful with the recommended amount of food on each label, always try to buy quality food and do not overdo it in spoiling them with biscuits, snacks, and other high-calorie products. – “Reverse sneeze”. It is not a disease, is a normal characteristic of Chihuahua so sometimes we may be more alarmed than we should. This phenomenon occurs when the dog is overexcited and therefore when he plays, and runs, and it manifests with a funny growl like that of a pig.